Mailbox Happiness: Wishing You Peace, Happiness & Holiday Good Cheer! Wishing You Peace, Happiness & Holiday Good Cheer! Christmas Day is drawing near. This will be my last post before Christmas, I'm also sharing a very small part of the Christmas Cards I've received this year. I love them all! I'm thankful for everyone that still loves to send Christmas cards through the mail. They are special, tangible, generally handwritten and filled with wonderful sentiments. The sender has taken the time to choose the card, write a message, address and stamp the envelope and send it on the way and always brighten's the receivers day. 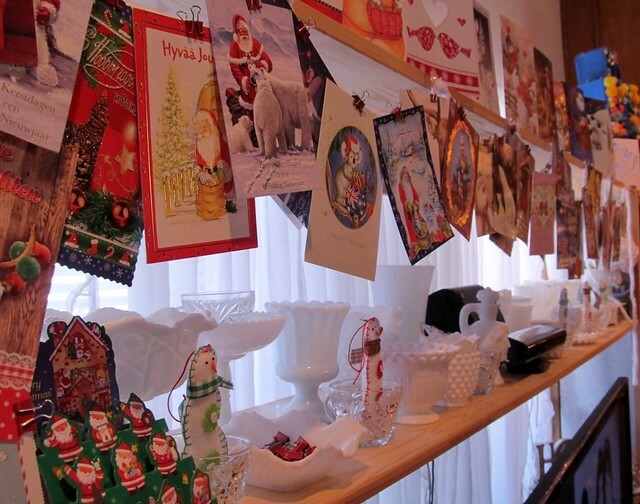 Wait, this is a very small part of your Christmas cards?! It must be a joy to receive so many kind wishes in the mail. Wow!!!! 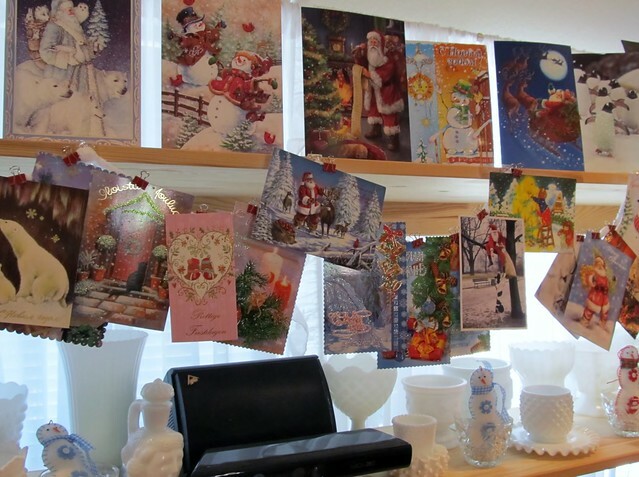 It's exactly how I want my place to filled with Christmas cards. I am really so sad that you did not get my card till now.Why does it always have to happen with me? I thought you will get the card this Christmas. Well, let's hope some miracle happens an you receive it in next 3 days. MERRY CHRISTMAS!!!! Wow, that's a lot of cards. Don't you just love admiring them? 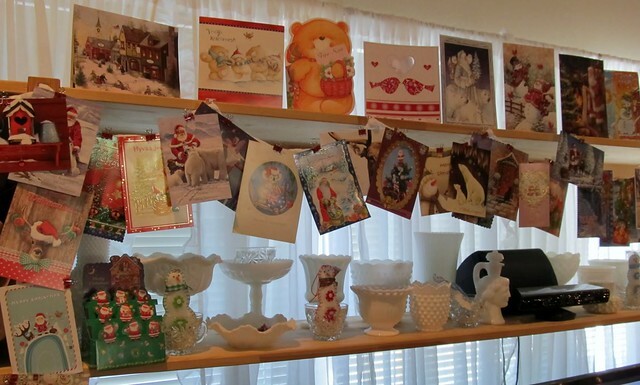 I was planning to post a photo of my cards hanging on the wall too. Have a very merry Christmas. Looking forward to reading your blog after the holidays. You all are too nice, some people would say I have a sickness over Christmas Cards. 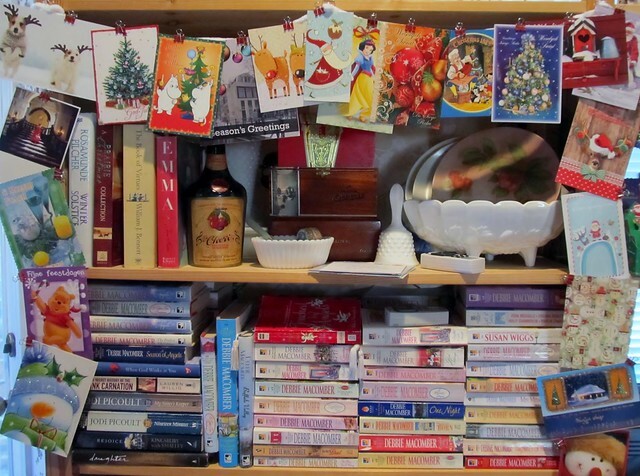 My dear husband has asked me to count them after the holidays when I'm packing them away...I'm a little afraid...Ha! 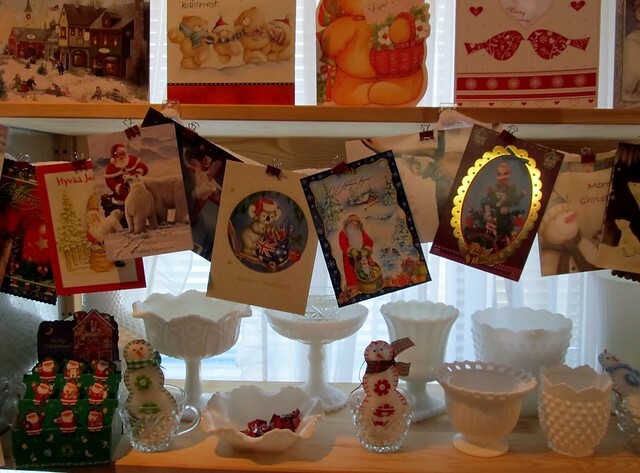 I got your Christmas card today with lovely snow flake, ornament and stickers!!!! I really can't tell you ho happy I am at the moment.Thanks a lot for bringing this cheer on my face and brightening my day.......Thank you very much!